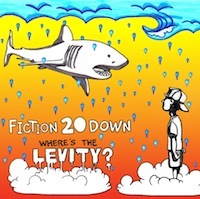 Baltimore alt rock/hip-hop/reggae rockers Fiction 20 Down have recently announced the release of their new full length album titled "Where's The Levity?" on April 30th. What's even more special about it - they are releasing it for free! The band is doing this as a way to say thanks to their fans who have relentlessly supported them over the years, which is extremely rare in this age of crowd-funding and fan-sourcing. Webster's dictionary defines levity as "lightness of mind, character, or behavior; lack of appropriate seriousness or earnestness". The word couldn't be more appropriate for the vibe of the album, and is also necessary in today's state of economic and social turmoil. 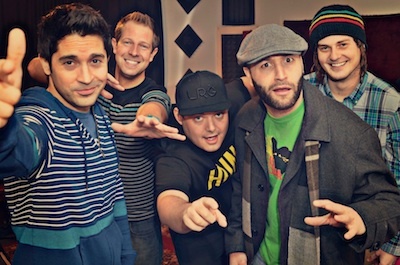 The album will prove to be the band's most eclectic effort to date with styles ranging from smooth hip-hop to alternative rock to funky dancehall reggae and even some punk influence. The album will be available for a free download directly from their website www.f20d.com. The band will also be touring up and down the East Coast this Spring and will shortly be announcing their Summer tour plans. For a full list of dates you can go to www.f20d.com/shows.